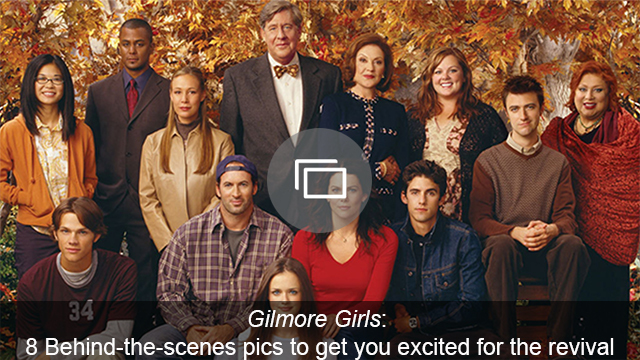 First, a few things in the spirit of full disclosure: When Gilmore Girls was actually on television, I only watched the first two seasons, so I first watched the series all the way through on a Netflix binge a few months ago. When I did watch the show on TV, I thought Dean, Rory’s first boyfriend — who will be returning for the revival — was fine. Not amazing, not interesting, but fine. Tepid. Like toast without anything on it. The truth is that I’m not a fan of any of the men either Lorelai or Rory date because I really just want the show to be the two of them on the couch, eating junk food and talking fast. It wasn’t until I watched it more carefully, with my considerably older eyeballs, that I realized Dean is categorically the worst. And I don’t mean that in the sense that he’s the worst of Rory’s boyfriends. I mean he is the worst. Period. Ever. Here are a few examples that may inspire you to make a list of your own. Stalking isn’t funny, and I’m not sure there’s even such a thing as a “mild” version of it, but Dean apparently was doing something resembling mild stalking before he actually talked to Rory. When they first talk in the pilot, he admitted to watching her. I mean, I get that you do that when you have a crush on someone (I probably could still recite my high school crush’s entire class schedule for all four years), but when I think about Dean’s behavior toward Rory in the future — namely, calling her 10 times a day, refusing to take no for an answer when she says she wants to be alone, showing up when she asks him not to (see the Season 2 episode “Run Away, Little Boy”) and being mad at her for taking off the bracelet he gave her — the early stages of their relationship just make me cringe. Dean and Rory broke up in Season 1 (“Star-Crossed Lovers and Other Strangers”) on their three-month anniversary. I’ll refresh you: They went to a fancy restaurant, then to the junkyard so Dean could show Rory the car he was building for her, which seems like a superintense move given how short a time they’d been together. He told her he loved her. Rory panicked and couldn’t say it back. Dean freaked out and yelled at her, and then they broke up. To be clear, it’s fine that Dean was upset that Rory didn’t say “I love you” back. It’s understandable. But the insulting? And the not listening? Rory was, in typical Rory fashion, stoic on the outside and tearing herself up on the inside. 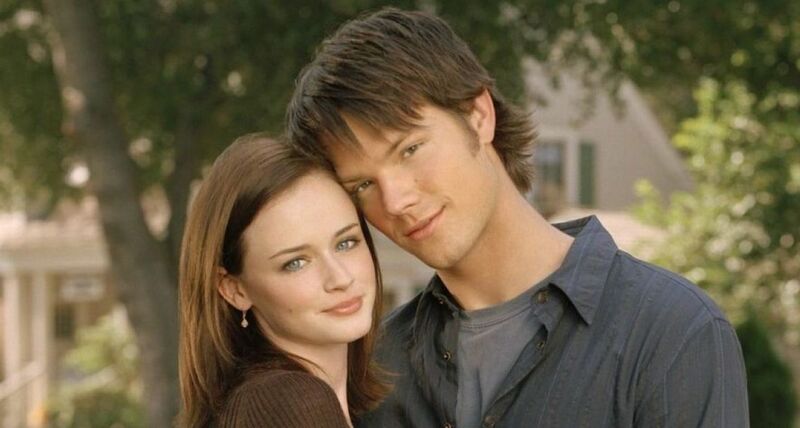 Dean and Rory eventually got back together, of course, because television. This one could really be a list unto itself because it comes up so many times throughout the series. Dean and Rory ultimately break up for keeps because he can’t deal with her Yale friends/life, but well before that, Dean proved himself completely freaked out about Rory’s Harvard aspirations and basically any future plans that didn’t include being in Stars Hollow forever. (Richard and Luke were onto this, by the way, before Lorelai and Rory.) There was the time in Season 2 when Rory canceled plans on Dean to work on planning for Harvard and he threw a fit about it. Then there was the time, in Season 3, after Rory had lunch with a Harvard alum in regards to her application, when Dean barraged her with questions about their future. Not that it’s not totally valid to ask your high school girlfriend about what she’d like to have happen after graduation, but this was another time when Dean got pouty and stubborn and passive-aggressive and ultimatum-y, proving that he loves the idea of dating an ambitious woman but not the reality of it. The time Rory told Dean he shouldn’t drop out of school and he yelled at her, the time he very loudly broke up with her at the Dance Marathon, the time she told him it was possibly a bad idea to marry Lindsay and he yelled at her… and that time he yelled at Luke (his last appearance on the show) about how Lorelai and Rory would always want more than Stars Hollow, because women wanting more is the worst thing in the world, according to Dean. Poor Lindsay. It’s not her fault that Dean married her when he was still in love with Rory or that he lied to Rory about his marriage to Lindsay being over when it technically wasn’t. And props to Lindsay for divorcing him when she found out he and Rory slept together. Lindsay fit nicely into Dean’s worldview at first. She wasn’t ambitious in the way Rory was (read: she was nonthreatening), and she was fine with taking care of the house while he worked. Things went downhill, though, when Lindsay started wanting more things, like a townhouse, and when Dean couldn’t suppress his feelings for Rory anymore. From the beginning, Dean was so easily intimidated, and Lindsay was a casualty of that. Did you think Dean was awful? Or was he the perfect first boyfriend? Tell us in the comments!